Grease a 13-in. x 9-in. x 2-in. pan with 1-1/2 teaspoons butter. In a heavy saucepan, combine the sugar, cream and remaining butter. Cook and stir over low heat until sugar is dissolved. Bring to a boil; cook and stir for 4 minutes. Remove from the heat; stir in chips and marshmallow creme until smooth. Remove 1 cup set aside. Add orange extract and food coloring to remaining mixture; stir until blended. Pour into prepared pan. Drop the reserved marshmallow mixture by tablespoonfuls over top; cut through mixture with a knife to swirl. Cover and refrigerate until set. Cut into squares. Yields: about 2-1/2 pounds. 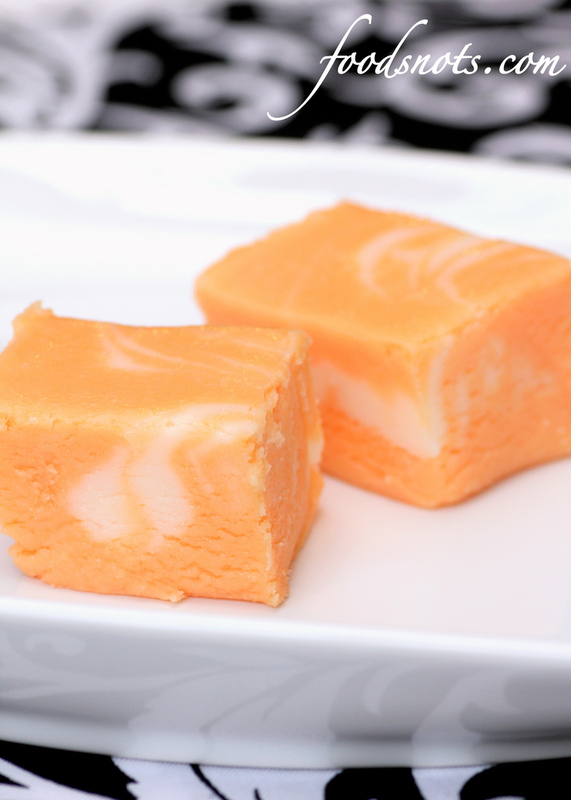 Recipe from Taste of Home’s Halloween Party Favorites.